Pedro St. James is the oldest surviving stone structure in the Cayman Islands. This structure was originally built in 1780 by William Eden and has recently been completely restored to be the center of this historic site. Pedro St. James is the nation's "Birthplace of Democracy". The Cayman Islands' first government was formed in this building back in 1831. At a public meeting the decision to form the first elected parliament in the Cayman Islands was made inside this building. 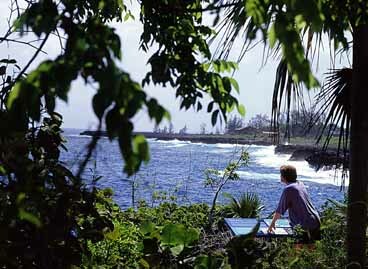 The government of the Cayman Islands spent $6.25 million to restore this site in 1992. The view from St. James overlooking the sea is fantastic and worth the visit just for the view. A tour of the castle shows a display of original styled furnishings from the period it was originally built. Whether you are an antique enthusiastic, history buff and/or a nature lover - this is an excursion you don't want to miss. Pedro's main house is at the center of a 7.65 acre landscaped park and woodland sitting atop the 30-foot Great Pedro Bluff. There is a lawn area and an intimate quadrangle that can be rented for meetings and functions. There are tables, chairs and tents and to accommodate a group of up to 400 people. History of Pedro St. James "Castle"
The heritage of this site is immeasurable. In 1780 William Eden built Pedro "Castle" to serve as his residence and a community center. A hurricane destroys all the buildings except for the stone house in 1785. 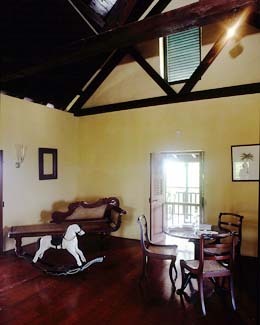 Eden sold Pedro St. James to James Coe in 1800, when he moved to Nicaragua. William Eden became the Public Recorder and Chief magistrate in 1823 and puts the "Castle" to use as his personal residence, the courthouse and community jail. At a meeting in 1831 the Caymanians decided to form their first elected assembly at a meeting at Pedro St. James. A proclamation ending slavery was read at Pedro St. James in 1835. Mr. William Eden died in 1850 and willed Pedro "Castle" to his wife and children. During the next 100 years the Pedro St. James was utilized as a family home - enduring tragedy, life and death. Renovations were started and in 1967 the "Castle" was damaged by a fire. 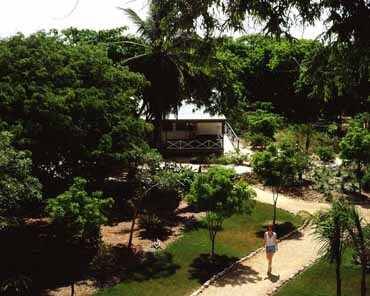 The Government of the Caymans Islands purchases Pedro St. James in 1991 and the site is now restored and opened to the public by the National Historic Site in 1998. A state-of-the-art theatre has been built on the grounds and a twenty-minute film of The History of Pedro "Castle" will entertain you. Lightening is simulated along with a thunderstorm. There is even rain water rushing down the eaves to emphasize the drama of the history being told. One must not miss the chance to send a post card home signed with a quill pen from the Gift Shop. Reproductions of the antique furnishings and accessories are featured at the gift shop. Some are limited edition reproductions made exclusively for Pedro "Castle".